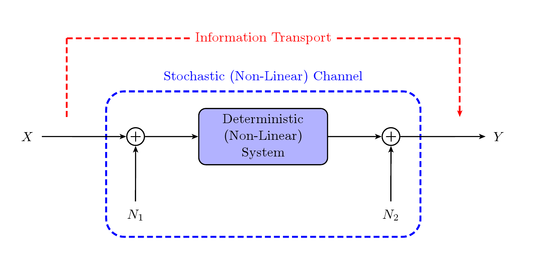 This thesis defines information loss for memoryless systems processing random variables or stochastic processes, both with and without a notion of relevance. These definitions are the basis of an information-theoretic systems theory, which complements the currently prevailing energy-centered approaches. The results thus developed are used to analyze various systems in the signal processor’s toolbox: polynomials, quantizers, rectifiers, linear filters with and without quantization effects, principal components analysis, multirate systems, etc. The analysis not only focuses on the information processing capabilities of these systems: It also highlights differences and similarities between design principles based on information-theoretic quantities and those based on energetic measures, such as the mean-squared error. It is shown that, at least in some cases, simple energetic design can be justified information-theoretically. The full text of the thesis can be downloaded here. This thesis is supervised by Gernot Kubin and conducted within the Christian Doppler Laboratory for Nonlinear Signal Processing program.